Nancy Allen joined the New York Philharmonic in 1999. Nancy Allen grew up on Long Island, where she played harp, piano and oboe! 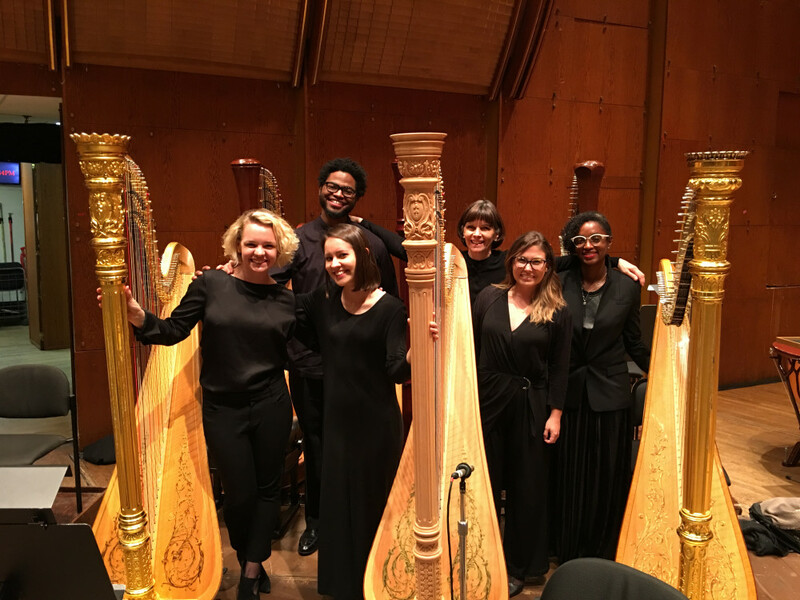 She studied at Juilliard with Marcel Grandjany, and while she was there she won the 5th International Harp Contest in Israel. She started teaching at the Aspen Music Festival when she was in here early twenties (about the same age as her students!) 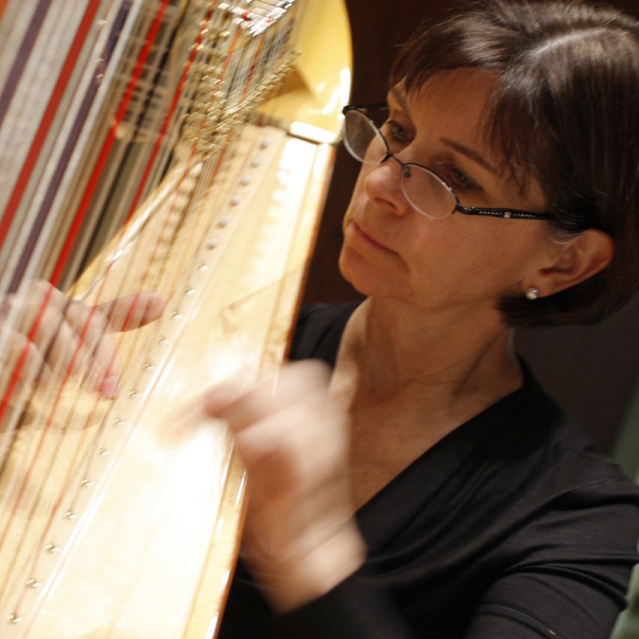 and grew the harp program into the highly competitive one it is today. Ms. Allen didn’t join the New York Philharmonic until 1999. Before that, she toured the world as a soloist and chamber musician. Her list of collaborators is too long to list, but highlights include flutist Ransom Wilson, Kathleen Battle, and the Tokyo Quartet. 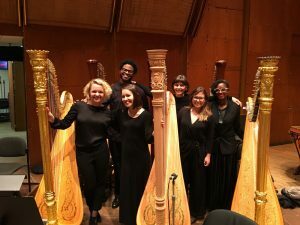 Nancy Allen, Julia Coronelli, Katherine Siochi, Annabelle Taubl, Ashley Jackson, and Charles Overton perform Wagner’s “Das Rheingold” with the NY Phil. Ms. Allen is an exceptional teacher, and the list of former students gives credit to her instruction. Among her former students are top prize winners in the USA and Israel harp competitions, and Principal Harps with the Boston Symphony, Toronto Symphony, Rochester Philharmonic, Sarasota Orchestra, Finnish Radio Symphony, and Dallas Symphony, among others. Did you know Nancy is an animal lover? She has had many pets throughout the years, and currently owns a cat named Romulus and parrot named Cuckoo. 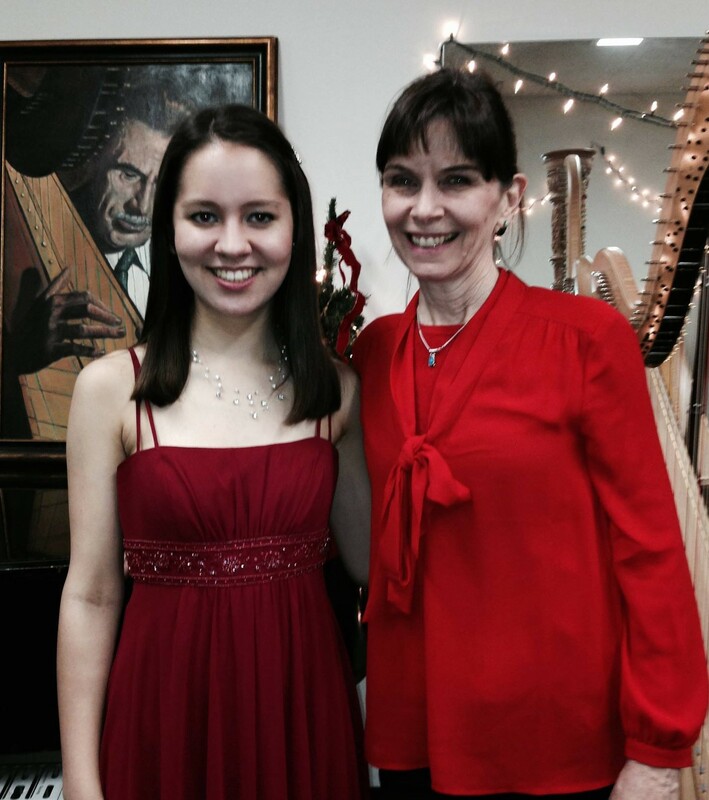 Nancy and YAHS alumni Katherine Siochi, who will also be joining us this summer!